Whenever I think of Trinidadian soccer, I remember the days of Dwight Yorke at Manchester United, the Men’s National Team appearance at the World Cup 2006 with Shaka Hislop as the starting goalkeeper, and Lincoln Phillips winning the NCAA National Championship with Howard University. In addition, at the professional level, we see members from the National Team starting to feature more with MLS teams. So when the opportunity arose to travel to recruit student-athletes, I immediately jumped at it. 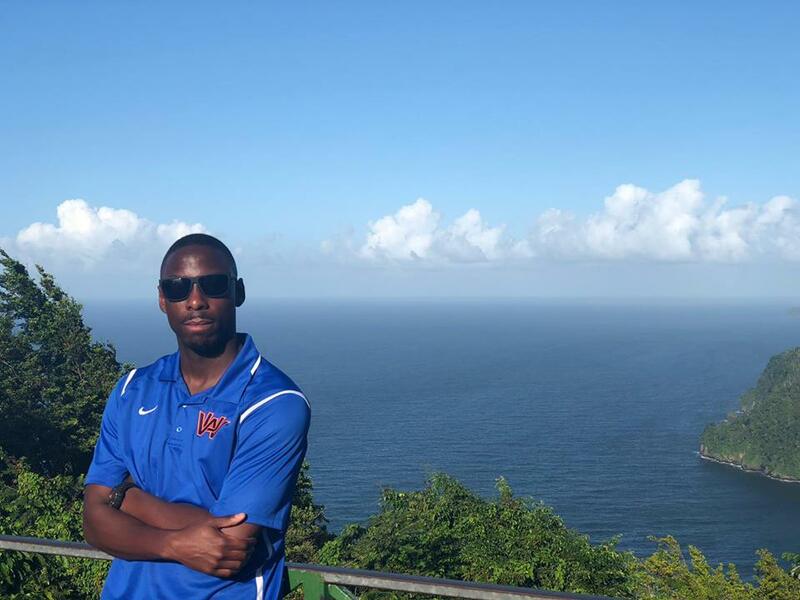 Growing up and coaching in the Washington D.C. Metropolitan area, you will always hear about the deeply rooted ties that Trinidad has with the college and professional levels in the area. I have been accustomed to hearing about the players playing for local colleges such as Howard University or the numerous coaches, who are from the tiny island, providing guidance and high-quality coaching in the DMV area. However, there is much more to learn from a country which is now becoming a destination for organizations to extract talent in the hopes that these players will one day make it big. Prior to my trip, I had no real knowledge of the soccer landscape so was unsure of what to expect in terms of major players and where to find the best talent in the country. This was an opportunity different than the usual outing of recruiting at a tournament showcase in the USA. I did not need to worry about trying to sift through the numerous emails/videos to determine who is worthy enough to warrant attending a game to watch. It was a bit of fresh air not to see the “glitz” surrounding this event. No clubs…No tournaments….just a compilation of players eager to showcase their talents. GotSoccer points are irrelevant here, therefore, it doesn’t matter what team you play on, instead what matters is demonstrating the quality necessary to succeed at the collegiate level. The invitation to attend a College Showcase clinic came from Trevonne Morris and Jonathan Chang, who also organized the entire event. These gentlemen are recent graduates of US college programs and have already been through the process so their mission was to help provide access to US college coaches on behalf of the players they are servicing. Players were traveling as far as two hours away to impress in the hopes that their performance will warrant a spot at the schools in attendance, in addition to a scholarship. The statistics are clearly not on their side, but it did not deter those who attended and with some encouragement from the event organizers, who themselves have been through the recruiting process all the way through to graduation, understand that no matter the odds; the opportunity to showcase their skills were priceless. The players who were in attendance were either from High School or from one of the local Universities. From the first exercise of the session, I could see the difference between American travel soccer players and the locals from Port of Spain. There is already an innate talent, but more importantly, the way players moved across the pitch was so distinct. Playing with the outside of the foot and fearlessness in the 1 v 1 made for an exciting showcase event. It is in complete contrast to scouting at a showcase in the USA where much of the emphasis in on acquiring Gotsoccer points which can compromise the on field play over the course of the event. When 3/4 games are cramped into a weekend, it is rare to see many teams, or players, take risks or truly express themselves in fear of losing out in the rankings that determine placement in “major” tournaments. Unfortunately, there are no formal youth leagues so coordinating directly with youth clubs was difficult. From what I could gather, the pyramid in terms of importance (not quality, professional players will always have more quality) goes for youth players; High School (top), Youth national team, then the Professional level. This became more apparent during our brief breaks between the clinic sessions, at the bar what is on TV is a High School game…..not professional teams competing but a local championship for the best high school teams in the area. That was Naparima vs San Juan in which Naparima College won on a spectacular goal. All the professional games were not on TV which I thought was a bit odd. How can one value High School soccer over professional? Is there more money involved in Trinidadian High School soccer versus the professional leagues in the country? 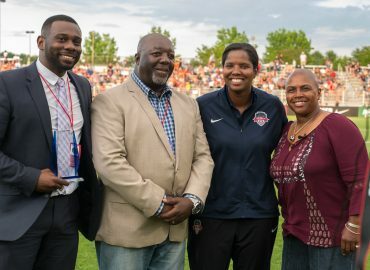 If organizations like Atlanta United are expanding their footprint in this region, then they realize the value, and return, of providing unique opportunities for local talent. I am curious who will be major parties that will make an investment at all levels in the sport to establish a system that will not rely on outside organizations to get talent to the next level. 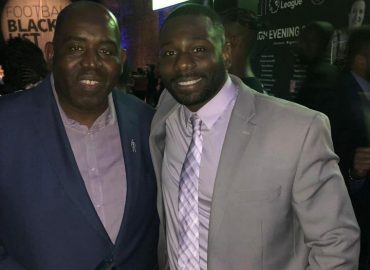 MLS has started and just recently one of the players from the showcase event secured a trial with an MLS Club in the Northwest region. Providing prospective student-athletes the platform for exposure to universities and have no doubt that will continue. I have no doubt that many of the players in attendance will go on to and be successful at the collegiate level. Speaking with the organizers, there is a sense that the professional route is very difficult to navigate given the administrative issues that plague the professional teams throughout the country.